There’s no question abortion is a divisive issue. But both pro-life and pro-choice sides can at least agree on one thing — having a civil debate is important. Correction: A previous version of the story stated Matt Pascuzzo said the attestation came as a result of anti-abortion campaigners who used the jobs funding to aggressively campaign for criminal code sanctions on abortion. Pascuzzo did not make the statement. Agencies rejected for Canada Summer Jobs grants because they won’t tick the pro-abortion attestation box are scrambling to come up with private funds to cover the summertime services they provide to the poor. OTTAWA – The government’s resolve to plow ahead with its pro-abortion Canada Summer Jobs attestation is turning into a boon for free-speech advocates and pro-life groups, says a political organizer. OTTAWA – Challenges to Ontario’s abortion bubble zone law will continue despite the recent death of the first person charged for violating the new law. UNITED NATIONS – Aborting a child with a prenatal diagnosis of Down syndrome is a gross violation of human rights and anti-discriminatory commitments, and can be considered genocide, according to speakers at a March 20 panel at the United Nations. OTTAWA – Liberal MP Scott Simms defied his party and voted against the government as a Conservative motion to drop the Canada Summer Jobs attestation requirement was defeated March 19 in a packed House of Commons. Ottawa – The man whose street protests prompted Ontario’s abortion bubble zone legislation has died while awaiting trial after becoming the first person charged for violating the new law. 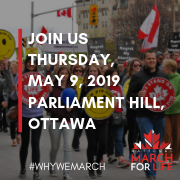 OTTAWA – After a year of battles over Charter freedoms, euthanasia, conscience rights and bubble zone legislation, March for Life organizers expect a large turnout for their May 10 trek to Parliament Hill. 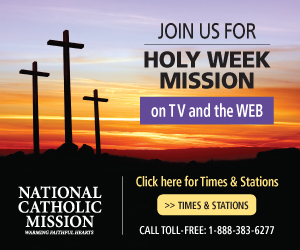 Something’s topsy-turvy when a Canadian Christian couple must go to court to clear their names because they refused to lie on the State’s orders. It is a frightening world when those with power assume they can dictate to those without how they must think and what they must say. 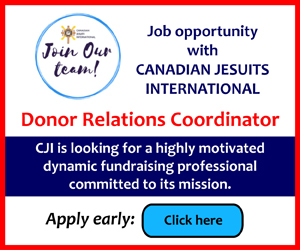 OTTAWA – Faith groups have stepped up their efforts to rally their members and urge MPs to support a Conservative motion that calls for removal of the attestation requirement for the Canada Summer Jobs (CSJ) program. In January, I had the great blessing of preaching at the Holy Mass for the relic of St. Francis Xavier in the parish in Mississauga named after him. There was an immense congregation, and in the very first pews were various political figures from the federal Parliament, provincial legislature and city hall. OTTAWA – The Canada Summer Jobs attestation controversy has put the charitable status of many organizations at risk, a former Conservative cabinet minister warns. It’s a sneaky way to make a government look progressive, a religion look regressive, and to divide a congregation. The international society of Catholic doctors is using Canada as an example of what can go wrong when doctors are forced to refer for abortion.